Hanahan, South Carolina, is a small, close-knit community that is conveniently located north and east of the I-26/I-526 interchange near Charleston, South Carolina. As a resident of Hanahan, I'm happy to share what I know about this city from first-hand experience. Before I moved to Hanahan, one thing that got my attention as a real estate agent was that the home buyers I worked with who grew up in Hanahan tended to want to purchase homes in Hanahan when it was time to settle down and raise their families. If you ask people in Mount Pleasant or downtown Charleston where Hanahan is, they probably won't know. Which is one thing Hanahan residents love about Hanahan. Because it's only 20 minutes away from both places. And we have it all to ourselves. There are three main residential areas of Hanahan, all with their distinct personalities and features. Neighborhoods like Brookside and Dominion Hills are near the high school and offer the closest proximity to the interstate and downtown Charleston. Homes are mostly brick ranches built in the 1960s and 70s. Otranto Plantation and Eagle Landing are further north and situated on the west side of the Goose Creek Reservoir. Homes vary in their architectural style and age, ranging from build dates in the 1980s to today. Tanner Plantation is the newest part of Hanahan and borders the east side of the reservoir. Homes are mostly vinyl or hardi-plank siding and built after 2000. Home prices in Hanahan can vary from $150k for a brick ranch near the high school, to $1 million for a house on the reservoir or Turkey Creek. 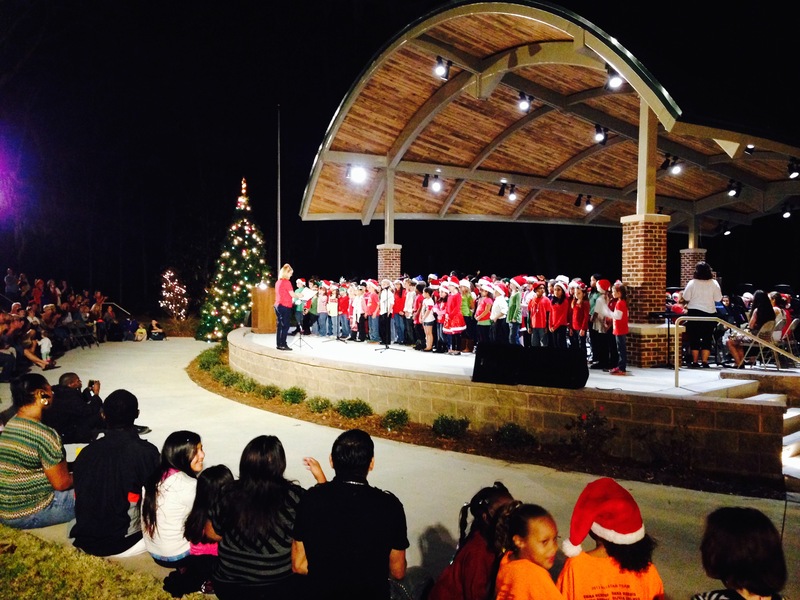 With a population approaching 20,000 residents, Hanahan is a community-minded city. A few of its main attractions are the new Berkeley County Library, which has its own butterfly garden; the city's amphitheatre overlooking the Goose Creek Reservoir; the seniors center; Bettis Boat Landing; and the recreation ball fields. Youth sports and activities are very popular in Hanahan, from Lego teams to cheerleading and football. I love that Hanahan works hard to get youth involved in the community. As a fourth grader, my daughter served on her student council and sang in the school chorus. In those roles, she marched in the city's Christmas parade; she sang on the stage at the amphitheatre during the Christmas lighting; and she helped run one of the city council meetings. Hanahan's award-winning schools make it one of the most sought-after communities in the greater Charleston area. Students attend Hanahan Elementary, Hanahan Middle, and then Hanahan High School. Hanahan kids grow up as "Hanahan Hawks" from kindergarten through 12th grade. Hanahan High School graduates about 250 students per year. A new elementary school, Bowen's Corner Elementary, is under construction in Tanner Plantation. It is scheduled to open for the 2018-2019 school year. That will give Hanahan two elementary schools for the first time in its history. If you think Hanahan sounds like a place you'd like to call home, use the "Get in Touch" form on the right side of your screen and let's make a plan to get you moving.